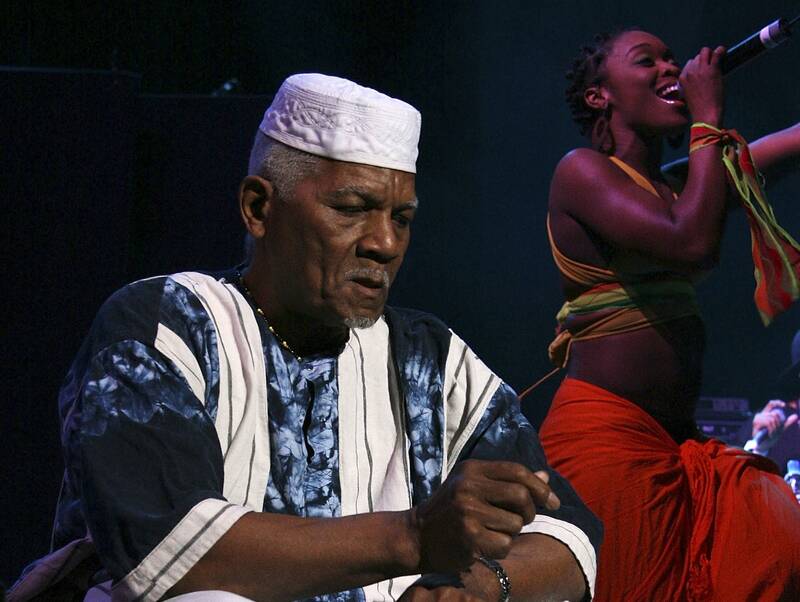 Baba Oje of Arrested Development has died of leukemia at age 87. Oje was a singular figure as a non-performing "spiritual elder" in the hip-hop collective, which landed three top ten hits off its 1992 debut album and has released nearly a dozen more records since. Pharrell tells the president to stop using "Happy"
Pharrell Williams has asked President Trump to stop playing his song "Happy" during political events. It's not unusual for music artists to ask Trump and other politicians to quit using their music at rallies, but Pharrell's cease-and-desist described the artist's disagreement in particularly pointed terms. After college and before finding massive fame as a Broadway composer, Lin-Manuel Miranda was in an improv hip-hop crew called Freestyle Love Supreme. He's now getting the band back together for a string of shows running from Jan. 30 to March 2 at the Greenwich House Theater in New York. "It is as addictive as Twitter once you realize you can get in front of an audience and make up a hip-hop show in real time," said Miranda, who's producing the shows but isn't promising to be onstage for every performance. "I am going to jump in for as much as my life allows. But the show will not be dependent on me being there," he told the New York Times. Meanwhile, the Hamilton composer is hitting the big screen as chimney sweep Bert in the new movie Mary Poppins Returns, to be released on Dec. 19. Director Ava DuVernay (A Wrinkle in Time) is confirmed to be helming an upcoming Prince documentary for Netflix. "Prince was a genius and a joy and a jolt to the senses," the director told Deadline. "He shattered every preconceived notion, smashed every boundary, shared everything in his heart through his music. The only way I know how to make this film is with love. And with great care." The film has been in progress for several months, with the Prince estate providing "interviews, archival footage, photos and more for the multi-part documentary," notes Rolling Stone. Meanwhile, a fictional film inspired by the Wham! classic "Last Christmas" is slated to hit movie theaters in November 2019, with a cast including Emilia Clarke, Henry Golding, and Emma Thompson — who's also co-writing the screenplay. Michael helped come up with the movie's concept, and now Billboard reports that previously unreleased Michael music will appear in the movie. One big question that remains open: will the film have a queer narrative in addition to the central hetero-cis love story?